Smashwords announced an important milestone today. 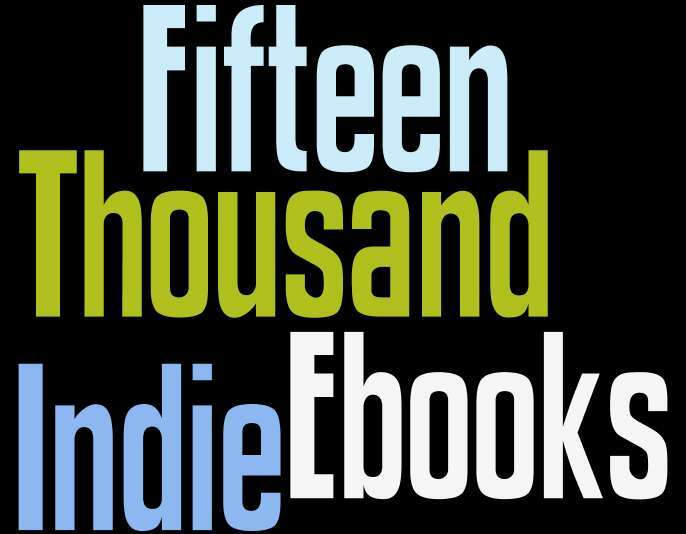 Late Sunday evening, an indie author published the 15,000th title at Smashwords. We've experienced tremendous growth in the last two years, thanks to the trust and confidence placed in us by nearly 7,000 indie authors and publishers around the world. A lot has changed in the last two years. Indie authors are starting to earn the respect they deserve. We still have a long way to go, however. It helps that more and more indie authors are stepping forward to share their success, and in the process they catch the attention of the industry and spark the imagination of fellow indie authors who can now build upon the success of these early breakout hits. Many of you have been inspired by the success of J.A. Konrath, who diligently shares his indie publishing experiences at his blog, The Newbie's Guide to Publishing. Today, I have another indie author star to present to you: Smashwords author Brian S. Pratt. In the single month of June, Mr. Pratt earned over $4,000 for himself at just one Smashwords retailer, Barnes & Noble. His books have occupied the top 100 Sci-Fi & Fantasy titles at B&N for several months. Now before your eyes blur with visions of dancing cherry plums, remember Pratt's experience is atypical for most authors, whether indie-published or traditionally published. However, as I view the sales reports coming in from our retail partners, it's encouraging to see that some of you are starting to earn some decent income. We'll report a new batch of retail sales reports to Smashwords authors the last couple days of this month, concurrent with our Q2 royalty payments. Some of you will be pleased, and others disappointed. These financial successes aside, it's important to realize that the promise of monetary gain is the wrong reason to write a book. Many of our indie authors don't sell more than a couple copies. Luckily for book lovers everywhere, most writers write for reasons different than publisher's publish. The other week, I was speaking with someone who has a retired friend who self-published the family's most cherished kitchen recipes, and their intended audience was not the world at large - it was their children, grandchildren, and their family's future generations. Is this book, which may only ever be read by immediate family members, any less valuable to the world because it lacks a business plan? I think not. What excites me most about this indie author revolution is the unlimited, unexpected possibility it creates as we work at Smashwords to unleash the creative talents of indie authors. Traditional publishers have always been challenged to predict which books will become commercial successes. They acquire books they think they can sell. In my view, the Achilles heel of traditional publishers is their myopic fixation on commercial potential. Sure, they have businesses to run, and Manhattan sky rise rents to pay. And yes, they employ brilliant and generous people who are passionate about books. Yet because they're running businesses limited by decades-old business models and cost structures, they're not able to take risks on every author. Nor do they want to. I created Smashwords so I could take a risk on every author, including the author who writes for an audience of one. Because our platform is self-serve and extremely automated, we enjoy a low cost structure that enables this risk-taking, and also allows us to return up to 85% of all net sales back to the author or publisher. Critics of self-publishing point to the incredible amount of drek that gets published when you let authors decide what to publish. My response: So what? I blogged about this last year when I addressed the Smashwords Community Filter. "...And we will be inundated in very cheap bad books. By bad I mean, unedited or poorly edited, badly positioned and largely unmarketed titles. By inundated I mean that it will be very difficult to find the good books in all of the content made available (a problem that we already suffer from but looks to be multiplying). And a very real difficulty in finding and creating an audience for the few good books that will be made available." All this defines pretty well the challenges, well-met, in the world of the web - where anyone can publish what they want in a blog, the vast majority of it is uninteresting to the vast majoriiy of readers (which is why most blogs have readerships of 1-2 people) ... Blogs are, by the numbers, a vast sea of junk. And yet - as a reader, I constantly find wonderful stuff to read on blogs. I read many of your blogs, I read NYTimes blogs, I read BoingBoing - which usually points me to other blogs; I follow Twitter links to more blogs I have not heard of - almost exclusively now I find good blog posts to read through Twitter. But, still, given the overwhelming preponderance of junk, how is it that I only read wonderful stuff on the web? The answer is in the link. 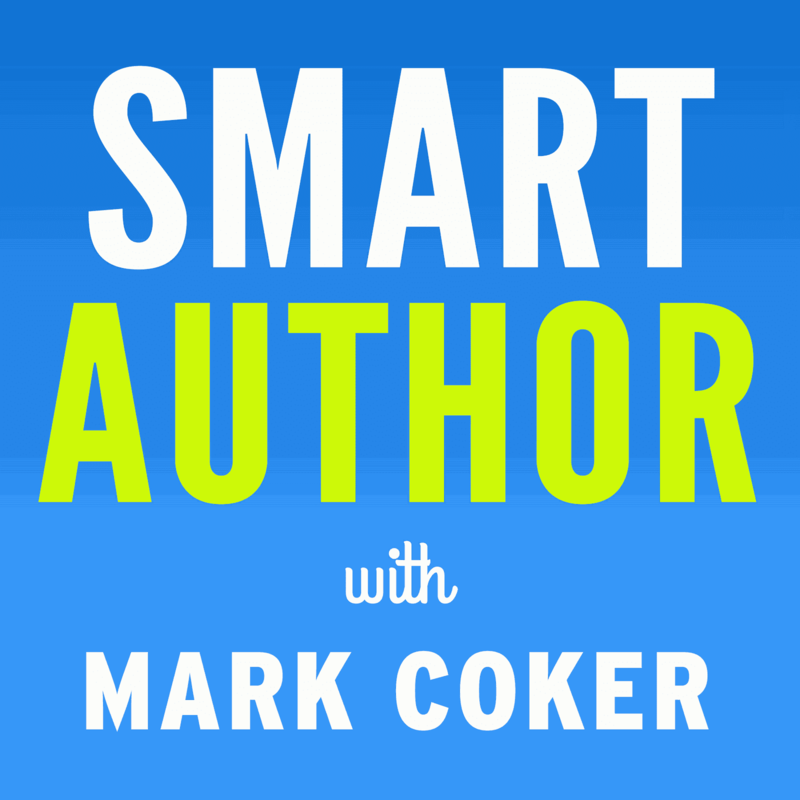 The link creates a currency for readers and writers to surface wonderful stuff. In the earlier days of blogging, links were an essential part of the ethic: we read each other, we pointed to the stuff we liked; people pointed back. Crucially, you could "see" when someone pointed to you (referrers, technorati, google alerts). And crucially, Google built a kind of reputation exchange, based on the link: the more links you got, the more "important" you were to Google's search; the more important you were to Google's search, the more heavily-weighted your links were in Google's algorithms - conferring your importance to others. This created an ecosystem of readers and writers, that grew to the point that now blogs are a fact of life - and come in all flavours and shapes, from Samuel Pepys' diary, to the Tools of Change Blog, to Paul Graham, to cat-pictures and everything in between. Fundamentally, though, the stuff in blogs - and in "books" - is not anything in particular. Blogs - like books - are just a means to transfer words from someone's fingers tips into someone else's eyeballs. Blogs made it easy for anyone to do that. Enter an era of more terrible and irrelevant writing than the world has ever seen. Enter, also, an era of more wonderful and important writing than the world has ever seen. The good stuff gets found. If there is one thing the web is brilliant at, it's getting millions of people - billions? - to sift through junk to find what is valuable. What do you think? What's your measure of success? To read our full press release from this morning, access it here. Hurrah for reaching the 15,000 mark! And huge congratulations to Brian - those are impressive sales figures. What's my measure of success? Reaching increasing numbers of readers, and learning that my books have touched them in some way. Having readers say that they found themselves caring about my characters. Making money in the process is a very welcome bonus. Thanks, Shayne, typo fixed. We all need editors! Well done Mark on your point seven of a billion words! Your attitude to indie writers is truly novel (pardon the weak pun). For most writers (myself included) the objective is to get the 'work' out there and monetary reward is really icing on the cake. Smashwords has been to the fore in assisting indie authors. It will not be long before some become 'successful' and I'm sure when that time comes they will not forget the help they got along the way. Congrats on reaching the 15K Mark. Now, onward to 30. I hear a lot of "warnings" to the public that The Indie Revolution only outsources the slush pile. Hogwash. The Indie Revolution performs a magic trick - it makes the slush piles disappear. Today, thanks in LARGE part to companies like SW authors don't have to hand over their power or self-respect to the publishers. And guess what? The Indie Revolution has also empowered the reading public. Readers are no longer allowed to read only pre-screened work that fits the taste of someone at a desk in NY, rather than on a couch in South Carolina. Thanks again to Mark and Bill for all their hard work. Having said that, I'm hoping for some more hard work - I'm hoping for some sort of ongoing sales nos. to get integrated into the dashboard! Yes, yes, I know. We're like a bunch of ungrateful children, aren't we? Congratulations on reaching the 15,000 mark! That's quite an impressive milestone. 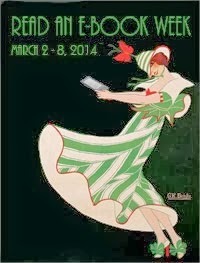 I read an article about the indies being the death knell for quality books. "There's a reason they're not published traditionally." Since joining Smashwords in April, I've had the pleasure of reading four mystery novels. Each were every bit as good, if not better than, books I've bought from the store. I was so delighted by them, I couldn't wait to write a review. There will always be bad books by bad authors. But this distinction does not lie soley on the shoulders of the indies. Onward and upward, Mark. That's such great news. I'm really happy for you. Success usually means money, and the self-publishing revolution has made it possible for a lot of niche authors to make a living these days. That doesn't mean that our work is "crap" or "slush"-- it just means that it has a limited audience. My textbooks have a very small audience, but they are still very profitable for me. They would not be profitable for Penguin. sometimes it's something as simple as overhead. Ahhh, back to my old cost accounting classes! There even a lot of indie authors who are selling well enough to support themselves: Zoe Winters and Joe Konrath to name a few. My measure of success is groupies. Seriously, those emails that come in unexpectedly from readers who say they've read my book while walking, bumped into something, and chipped their teeth. I like money. I love having lots of readers. But I think those who are sufficiently moved to find my email address, write nice things, and send them is pretty impressive. Ask yourself how often you do that with an author you've read. Congrats, Mark! That's an impressive milestone. You're doing great work at Smashwords! I'm an author with a background in traditional publishing. My fantasy novel "Firefly Island" was published by Gale in 2007 (they're a large publisher known mostly for textbooks, but they also publish some fiction). I struggled to sell those $26 hardcovers. I went indie this year, uploading "Firefly Island" as an ebook to various ebook stores. I've been selling over 100 copies a month, and earn more profit per sale than with my hardcovers. With my next novel, I plan to go direct-to-indie. I love how 2010 is seeing indie authors finally finding success. I know I'm not alone, and that many other indies are also reaching many readers. Thanks again, Mark, and keep up the great work you do for indies! MichealEdits put it very well. There is something deeply gratifying in receiving a note from a reader telling you how much he or she enjoyed your work. And to see notes like that coming not only from all over the US, but places like Australia, Great Britain and France is just amazing. How could I have hoped to achieve that with the old publishing model, where even if my book had been picked up by a big publisher it likely would not have made it onto bookshelves across the ocean. Whenever the chance to democratize anything that was previously the province of the "discerning" and "inherently worthy" comes to town there are those who will try to shout it down or demean it. The same mindset gave us voting rights based on race, gender and land ownership. Should there be a filter? I think so. Should that filter be the readers themselves? Yup. Congrats on the milestone and thanks for the chance to be a part of it. Over the past year, most of what I've read has been self-published and a good 90% has been superior to what I'd have found in a bookstore. Then other 10% has been mostly pretty good, at least comparable to what's being traditionally published. I know that there is a LOT of self-pubbed crap, but I'm smart enough to be able to discern that before I purchase. I think most readers out there are just as smart as me. Smashwords is so amazing. It allows me, an author with a book and a dream, but no connections, to make my book available world-wide. How awesome is that? $4000 in a month on B&N. I almost fell out of my chair when I read that. Okay, I'm back in. And I have to admit I've been publishing/unpublishing/republishing and changing the distribution options on Smashwords as if it were a video poker game. I think some of my books have passed each other on the way back and forth to the various sites. I'm a little bit fickle. Thanks for putting up with me, Mark--and thanks for spelling my name right. Thanks all for you kind words. This is really *your* celebration, and it's only the tip of the iceberg for what's ahead, especially for indie authors who respect their readers. RJ, I wonder how many big publishers have enough respect for their readers to say what you just said: "I think most readers out there are just as smart as me." Brilliant. The successful indies respect their customers by giving them the best possible read at a fair price. Indies are much closer to their customers. Ask many big publishers who their customer is, and they'll tell you, "my distributors and retailers." Rex, funny with the video poker analogy, but it's true. We give you the tools to make your own decisions, and sadly, many authors make the wrong decisions, such as pulling out of distribution, then jumping back in, then pulling out. It's really important to get in, build sales rank and reviews, and then let the community build. The moment your book lands on a retailer shelf, consider it a seedling that needs to be nourished with your marketing and nurtured with your patience. Let it set roots and grow. When you remove it from distribution, you yank out the roots and all the value you earned over time (reviews, sales ranking, SEO) is lost. Welcome back! I found you in the last Writer’s Digest newsletter. I looking for informaytion in order to publish my first poetry book in spanish. I'm a physician from Puerto Rico living in Miami, Florida. I'll appreciate any information you can provide me. I love your blog! I blogged about my decision this week. Congratulations Brian, and I'm so happy that Smashwords has become home to so many independents. I have such faith in Smashwords as an indie author that I'm releasing my next book, Spinward Fringe: Fragments, there first. It'll be weeks before it appears anywhere else. That trust in earned, and I'm getting emails from readers that are beginning to enjoy their Smashwords memberships more all the time as well. My personal measure of success is wrapped up in how entertaining readers find my work. That's my job, I'm an entertainer, and I love fulfilling my role using prose. Doing this for a living independently for the last two years has been a dream come true. Hi Randolph, thanks for stopping by. Whenever folks ask me to point to examples of indie authors who are doing it right, I often point to you and Brian. Just by looking at the sales reports as they come in, your fans don't just buy a single book. They'll read your free samples and then purchase the rest of the series all at once, sight unseen. That tells me that you and Brian (and many other successful SW authors) are honoring and impressing your reader with that first read, and in the process you earn their trust, confidence and investment of time and wallet. Recently I had the opportunity to send one of the brightest authors I've seen in years your way, and when it was all said and done, I was just happy that Smashwords was there. She had a good experience setting up on your site, and that's a credit to you and your people. Creating a system that is easy to use is difficult, making it accessible to customers doubles the difficulty. So far you and your team have only improved things since I joined up 11 months ago. Here's to 15,000 more. I would like to leave my books where they are at the various online retailers--but it seems the only way I can change the price from free on those sites (especially B&N & Kobo)--is to try to have the book removed (roots, ratings and all), and then re-send it. Congrats Brian!!! That is great news! Congratulations Mark, and thanks for the post of Hugh McGuire's piece, it's brilliant and dead-on. Here's to the next 15,000! What a great milestone. I plan on helping you get to 30000! Congratulations. I used Smashwords to publish an old screenplay of mine ("Whackers") and it was a mostly easy and interesting experience, though I haven't penny to show for it yet. The biggest (and most important) book that I've ever written (800 manuscript size pages) was written for me! I happened to be living in the Mississippi Delta and started learning important civil rights history that I had never learned in traditional history books. I couldn't stop myself until I got done (over 1,000 footnotes, to boot). As it turned out, I sold about 400 books and that made it even better. But you are so right, Mark, many books have no intended audience except for the author. I always enjoy hearing from someone who has read "Where Rebels Roost", however. It's history I want the world to know.